Follow the steps in the video below or the article beneath it to create a segment of customers who have purchased specific products and automate cross-sell or up-sell recommendations to them. 13. Choose whether you'd like the Auto Follow up to be a Recurring email or a Once-off email. 15. 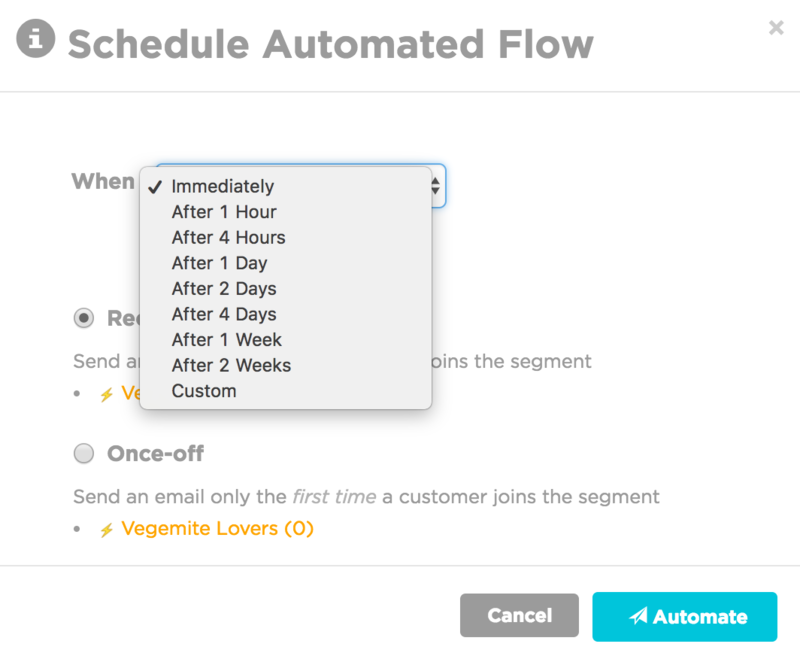 Repeat steps 9-14 for add subsequent emails to the flow.